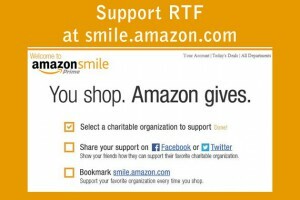 Rowan Tree Foundation is a 501(c)3 nonprofit organization powered by 100% volunteer staff. Our mission is to provide ongoing support and resources for families who are coping with the devastating loss of a much-loved child. We carry out this mission by offering outreach services, memorial events, education and awareness opportunities for families dealing with the loss of a child. We serve anyone who has lost a child. From pregnancy loss, stillbirth, through newborns and teens, anyone who has had a loss is welcome to take part in our programs and events. 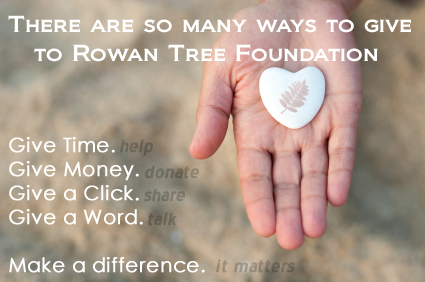 Our philosophy has always been that if you feel a connection to the work we are doing at Rowan Tree Foundation, then you belong and are welcome here. Our vision is of a world where child loss is treated openly and bereaved families are given the support they need, free of charge. We envision a system that responds to the child’s death by providing the bereaved with resources and information to know what services are available to them in coping with their loss. We hope to help change the way child loss is addressed so that parents have access to compassionate care that respects the humanity of their child, the gravity of the loss, and the lifelong impact that the loss of a child has on the family. Because it is okay to talk about child loss. 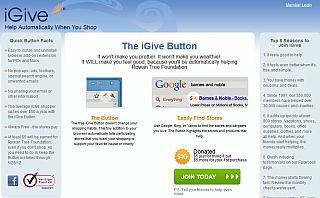 Why the name Rowan Tree?